Shalom Kufakwatenzi was born in Harare, Zimbabwe. She comes from Mutare and grew up in Murehwa, where she began to develop a keen interest in fashion design through her mother, who was a part-time dressmaker. Between 2009 and 2012 she attended Mabelreign Girls High School in Harare, where she studied Fashion and Fabrics. 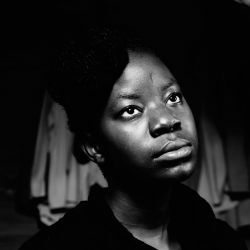 She later went to study Fine Art at the National Gallery School of Visual Art and Design (NGSVAD) in Harare, majoring in sculpture. 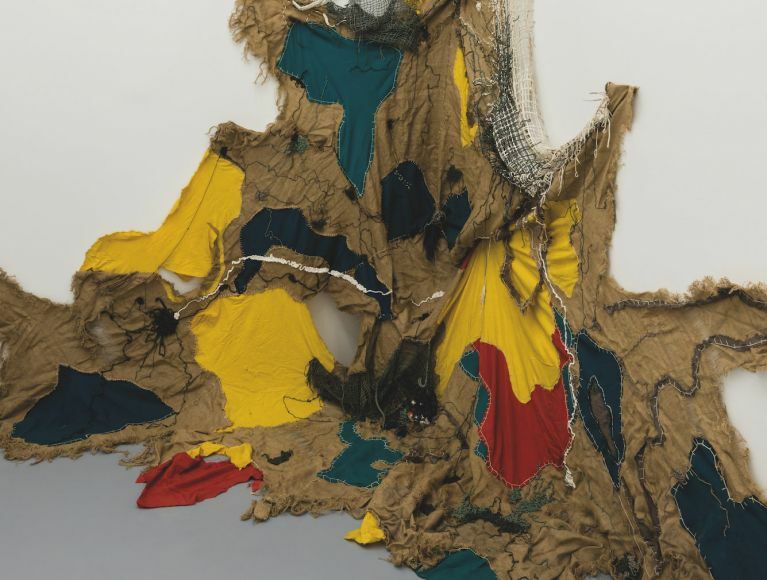 Through her studies in Fine Art, Kufakwatenzi’s work with fabric became incorporated into other mediums such as sculpture, installation, performance, photography, and video. 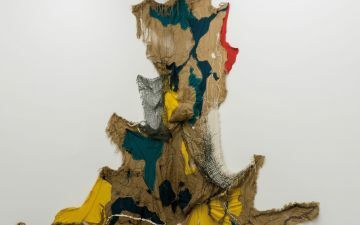 The work on exhibition, Paivapo (once upon a time) (2018), was produced in collaboration with Troy Makaza and includes a variety of unconventional materials such as hessian, paint-infused silicone, and canvas fabric. Sewn together, these materials form a large, multi-layered surface that extends from the floor to the ceiling. Without a frame, the artwork appears quite organic. It challenges more traditional understandings of the medium and by extension, becomes a surface for the exploration of societal expectations relating to gender-politics and representation. Shalom Kufakwatenzi took part in AtWork: Harare Chapter 07 and Zimbabwe Annual Exhibition at the National Gallery of Zimbabwe, Harare (Zimbabwe: 2017); Monkey Business: #ZVIRIKUFAYA and Uncontrolled Expansion (Two Man’s Show) at Tsoko Gallery, Harare (Zimbabwe: 2017 and 2018, respectively); and Young Artist Exhibition at Gallery Delta, Harare (Zimbabwe: 2016). Shalom Kufakwatenzi’s work is featured in the Zeitz MOCAA exhibition, Five Bhobh – Painting at the End of an Era (2018 – 2019).